As part of a recent project with Chair Solutions, we created this render to show the Ascend Back to Back three-stage telescopic lifting column desk. CS supplied the already created 3D models and we incorporated them into their 3D virtual office showroom. Once a location in the office was decided, we textured and lit the desks at three different heights. As CS also offers a custom upholstery service, we took advantage of this and added a custom blue acoustic backing to the desks along with a chair range that is also stocked by Chair Solutions. These chairs also had a custom fabric colour added. As this 3D scene is now created, any of CS customers can see a colour change very easily. With a few clicks, we can render out a different custom fabric they might want to see before purchasing. 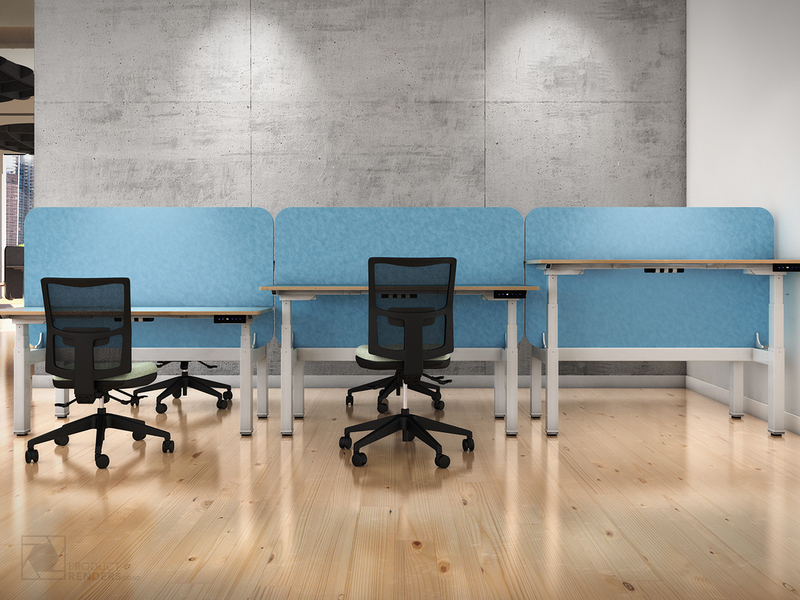 For more information about the Ascend range of desks, check out Chair Solutions website.